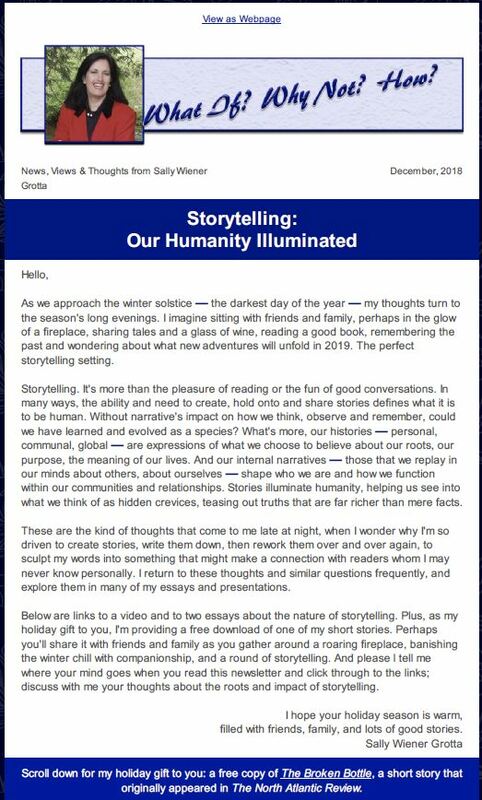 In my second newsletter, I focus on how our humanity is expressed and supported through storytelling. It includes links to an essay on connecting with strangers through their stories, a video on our Creativity Gene, and a free ebook of my short story The Broken Bottle which was originally published in The North Atlantic Review. I’d be delighted to have you sign up to receive future newsletters. Of course, I will never share your contact information with anyone, and you can unsubscribe at any time.